A contemporary twist on a classic, this charming 9ct yellow gold ring features a crossover body, embellished with a row of brilliant cut diamonds. The sparkles don't stop there, with more offered upon the band as baguette shaped stones. 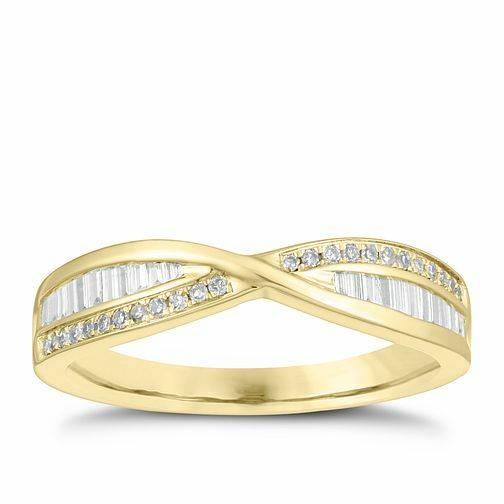 A captivating and modern band ring, perfect for symbolising two lives coming together. The total diamond weight of this ring is 0.20ct.